Putting these little guys together was a snap. 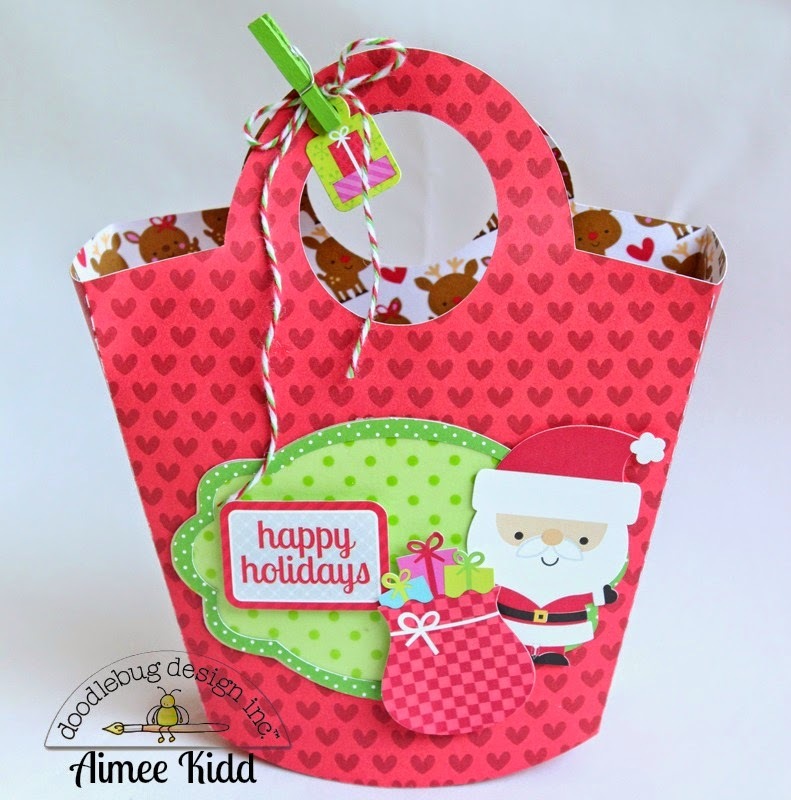 I found the Christmas Reindeer Bag cut at the Silhouette Design Store and just knew they would be absolutely adorable made with Doodlebug's Santa Express. The little tags on the front are backed with the wonderful Sprinkles Vellum and made the perfect background for the sentiment. I used the new clothes pins to keep the bags closed at the handle and added a tag from the Fancy Frills sticker sheet. Thanks for joining us today! Be sure to keep stopping by the blog each day for more inspiration with the Santa Express collection! You'll be sure to love each project! Hermosas tus bolsitas te felicito y estos papeles que usaste con una verdadera hermosura esta colección es definitivamente encantadora!!!! Los colores, los motivos y diseños son geniales!!!! 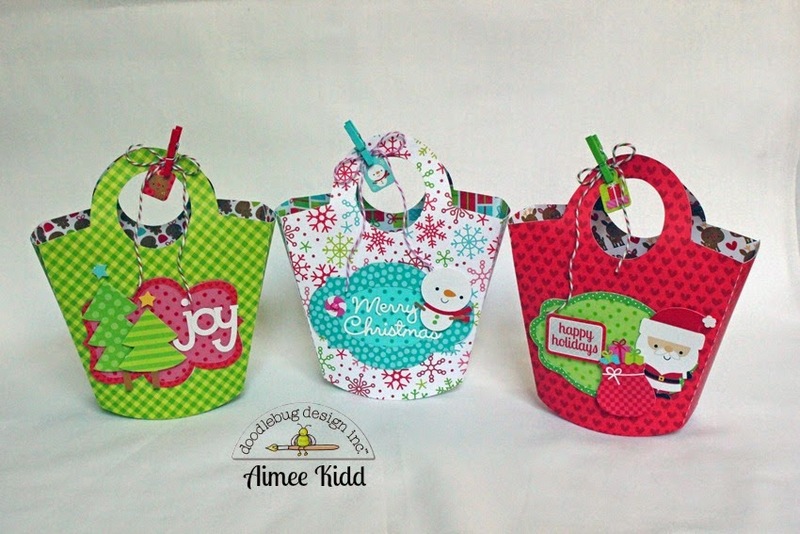 Aww Oh my gosh, these bags Are so sweet, perfect for the school Christmas party! I pinned each one of these to my Christmas and winter paper craft board on Pinterest! Oh these are so cute Aimee!! LOVE them!! Looooove these!! Going to find this bag on my cameo now!! Those treat bags are fabulous! Love how the clothespin keeps them closed! I shared this post on Facebook, through Doodlebug's Facebook page! These are so super cute Aimee!!!! Great project! SUPER CUTE gift bags Aimee!!! LOVE how she uses the mini clothespins to hold the handles together!!! These gift bags are sooo cute!! Thanks for sharing. 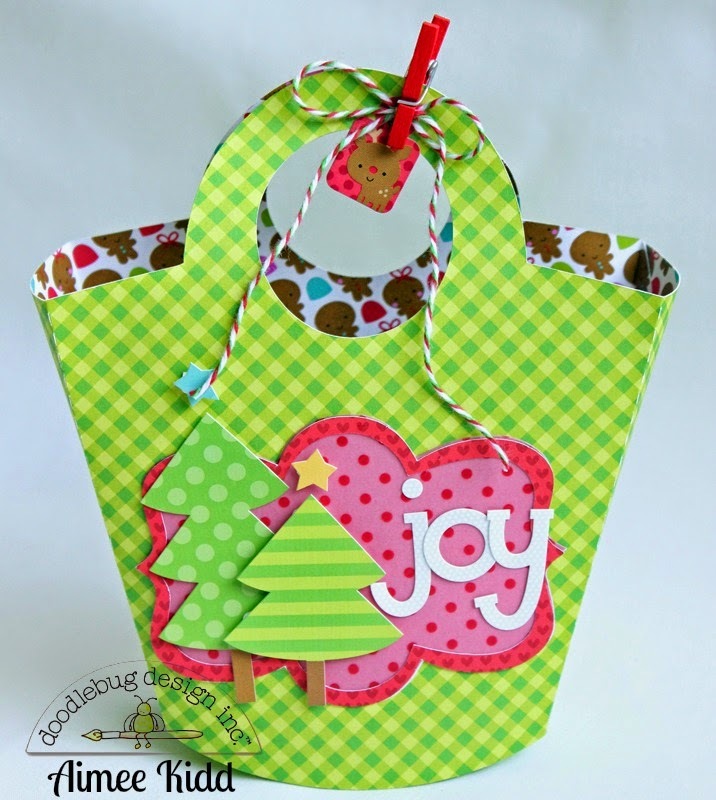 I pinned the Happy Holidays bag. 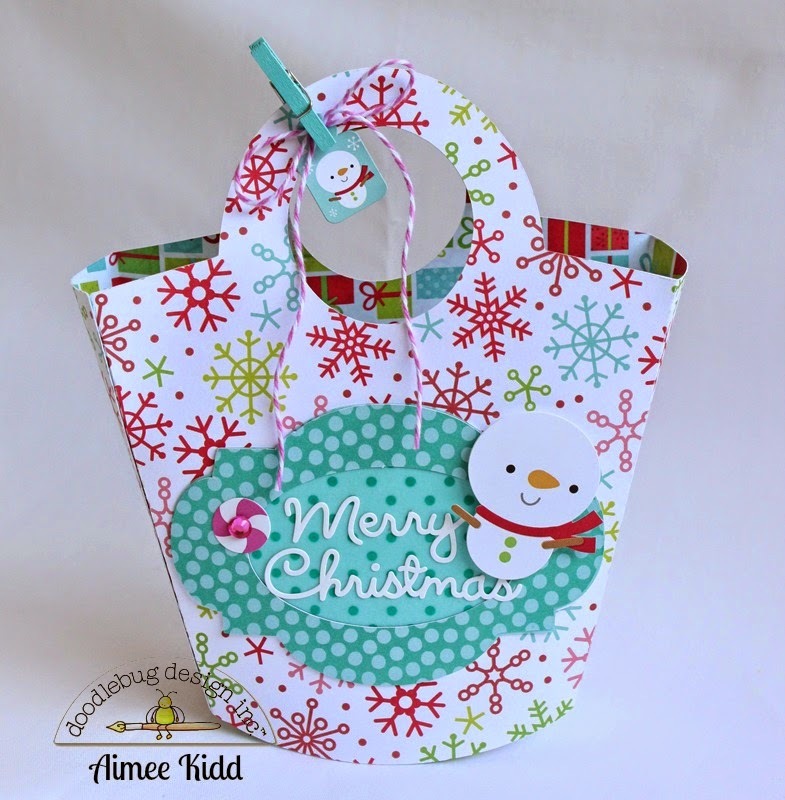 I pinned the Merry Christmas bag. I pinned the Joy bag. These little treat bags are adorable! I love all the fun little details. So cute and so clever!! Love the way she used the patterned paper in the finest ways possible!!! Awesome!! Pinned all of these photos and cute ideas to Pinterest - here is one of them!!! I shared this awesome idea with my facebook friends!! Oh my gosh, these are too cute for words! I love these treat bags! !